An international security journal open for submissions from students at the University of Illinois. Forced Internment of Muslim Minority in China: Concentration Camps or Job Training? Is Hamza Bin Laden Following in His Father’s Footsteps? North Korea: Loyal Chinese Vassal State or Political Headache? In the first part of this series, I briefly discussed the background in which Iranian-backed Shia militias exist in the island country of Bahrain. Arising from the brutal crackdown of protests during the Arab Spring, these groups have perpetrated several bombings and killings around the Kingdom. While the bombings have thus far been sporadic and relatively minor, this series explores the potential for this threat to expand. Iran, akin to its longstanding activities elsewhere in the Middle East, has attempted to foment a Shia-led insurgency against the Sunni Al Khalifa monarchy of Bahrain. This is in part due to a much wider shadow war with Saudi Arabia, but also due to its ideology of velayat-e faqih (guardianship of jurisprudence) in which entails that a Shia jurist must be the ultimate authority in an Islamic government. With this ideology in a post-Iranian Revolution world, Iran has tried to “export the revolution” based on this ideology. He also said that “these “popular committees,” the function of which is to control the streets and help consolidate the nascent revolution, recall the various revolutionary instruments in Iran, like the “revolutionary committees,” but also the Basij paramilitary force.” These “people’s militia,” as he refers to them as, can be seen with various different militias in Iraq. However, the best example is with Hezbollah in which it operates as both a militia, but also essentially a “state within a state” in Lebanon. 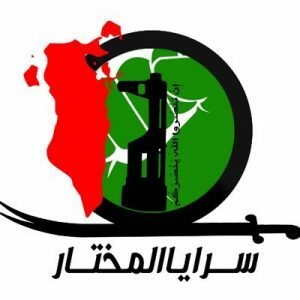 These militias that exist in Lebanon, Syria, Iraq, and Yemen abide by the ideology of velayat-e faqih and have the ultimate goal of trying to reproduce the Iranian model for Islamic revolution. The Shia militias that operate in Bahrain are no different. 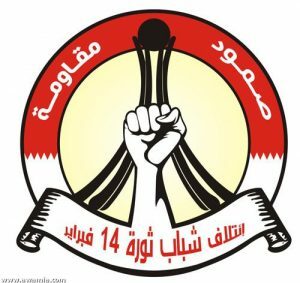 There are several Shia militias that exist inside Bahrain, however, I will focus on the larger, more well-known groups. It should be noted that even in these larger groups, there is still a lot we do not know. Most of these groups outwardly express affinity or links to both Iran and various Iranian proxies in Iraq. This alone does not necessarily mean these groups are proxies for Iran, themselves, but it does represent Iranian-branding at the very least. But when coupled with intelligence gathered by Bahraini counterterrorism officials about Iranian activities on the island, it is logical to assume more than just branding is at play. It is also important to remember that these militias are not Iran’s first foray into Bahrain. In the early 1980’s, a Bahraini Shia militia, the Islamic Front for the Liberation of Bahrain (IFLB), attempted to overthrow the Al Khalifa family under the direction of Iran. IFLB was modeled after the IRGC and received funding and training from Iran until its dissolution in 2002 . It is possible, and likely, that some members of this group are now in these newer Iranian-backed groups. To begin, an important, and perhaps the largest Shia militia in Bahrain is Saraya al Mokhtar (Mokhtar Companies). The group is perhaps the best example of an Iranian-backed group in Bahrain. 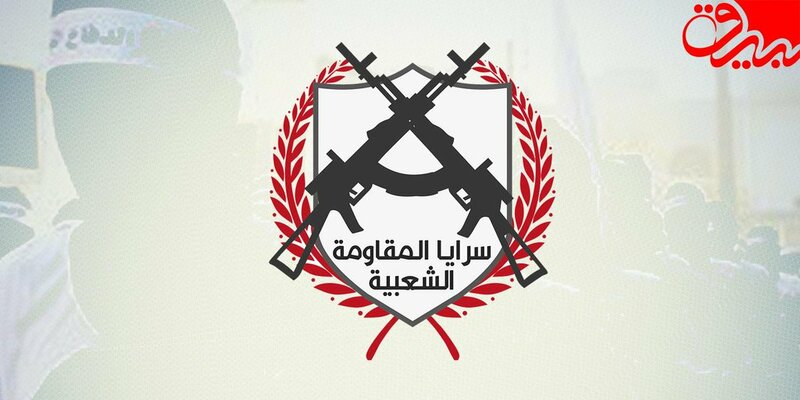 Saraya al Mokhtar has been one of the more prolific groups on social media and has been claiming attacks since 2013 (it does not appear to have claimed a recent attack in quite sometime, though). In 2015, it released a spate of videos claiming improvised explosive device (IED) attacks on Bahraini security forces, some of which appeared to be more advanced. In its beginning stages, it did not appear to have used rhetoric that referenced Iran or velayat-e faqih according to Jihadology. But this has changed quite considerably. It has always used the “Islamic Resistance” branding espoused by Iranian-backed group, but it has recently began linking itself to actual Iranian proxies elsewhere in the Middle East. 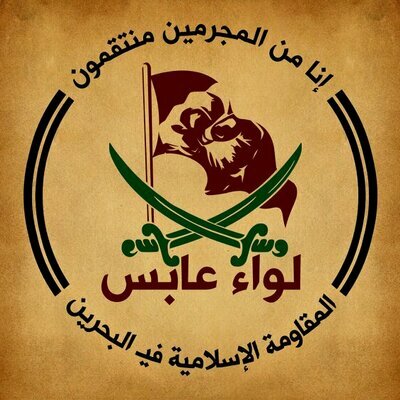 For instance, last October on its Twitter account, it tweeted in honor of the leader of Saraya al Khorasani, an IRGC proxy in Iraq . The same month, it also tweeted about one of its commanders visiting the grave sites of another IRGC proxy, Kata’ib Imam Ali . 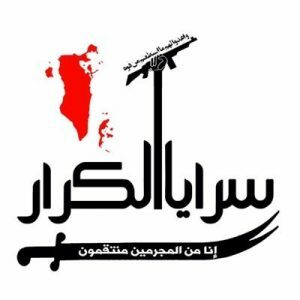 It also blessed the creation of Jaysh al Muammal, which has subsequently expressed its preparedness to send fighters to Bahrain. However, this goes much further than simple rhetoric. In fact, Saraya al Mokhtar fighters have been seen parading with IRGC proxies, as well as on the battlefield . 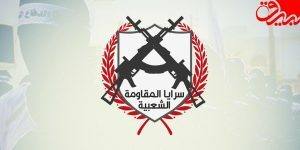 The group is also said to be active on the Syrian battlefield in defense of the Assad regime. The second group discussed here is Saraya al Ashtar (Ashtar Companies). 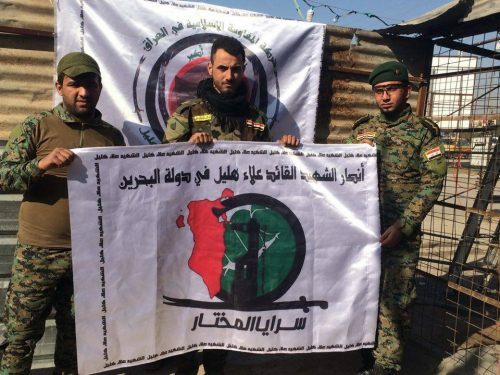 This group has been accused of being trained by Kata’ib Hezbollah, an Iraqi Shia militia that is one of Iran’s most important proxies in Iraq . Kata’ib Hezbollah, not to be confused with Lebanese Hezbollah, is a US-designation terrorist organization . 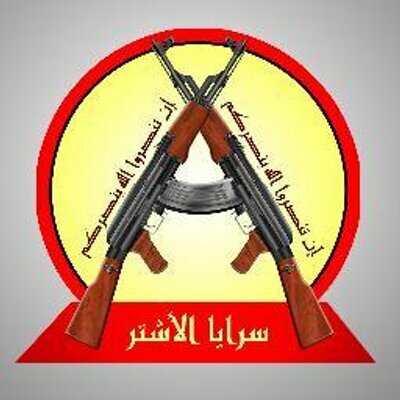 Bahraini intelligence officials have stated that Saraya al Ashtar fighters have traveled to Iraq to receive training in IED’s and other explosives from Kata’ib Hezbollah . This training has been put to use in several deadly bombings across Bahrain. In 2013, it claimed over 20 bombings, while in 2014 it claimed even more . The group claimed an attack in January on Bahraini security forces near the town of Bani Jamra. However, its last video uploaded to YouTube was in 2015. That said, Bahraini authorities have accused Saraya al Ashtar of using front groups, like Saraya Waad Allah (God’s Promise Companies) to claim bombings . Not much information is publicly available on Saraya al Karar (Karar Companies), however, it fits into the wider trend of Iranian-branding. The logo, as seen above, features the same fist holding a Kalashnikov symbol that can be seen on the flags of several Iranian proxies, including Lebanese Hezbollah, Kata’ib Hezbollah, and Saraya al Khorasani. These flags, of course, are modeled after the flag of Iran’s IRGC. 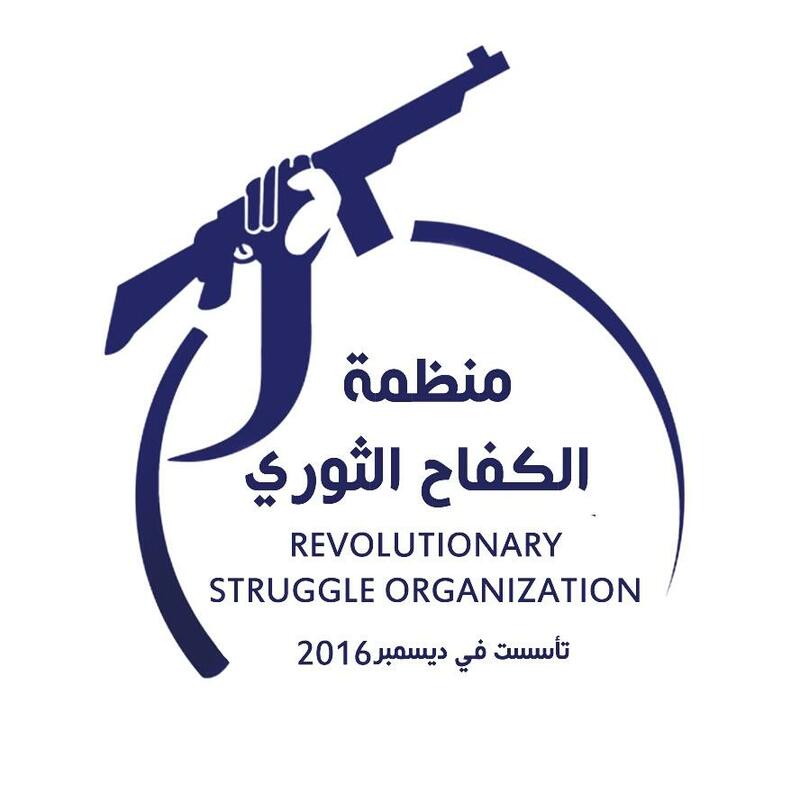 In addition, it also continues the “Islamic Resistance” branding. Hizballah Cavalcade at Jihadology also reports that in Saraya al Karar’s video’s, the group uses the same songs that are featured in videos produced by Lebanese Hezbollah . Despite not having an active social media presence in quite over two years, the group has been behind several bombings in Bahrain. In addition to these, several other Shia militias espousing the Iranian-branding also exist in Bahrain. This includes the Revolutionary Struggle Organization, which was founded in December and has already claimed an attack. This also includes the February 14 Youth Coalition, the Al Abis Brigade, and the Popular Resistance Companies (which is likely linked to the February 14 Youth Coalition ). All of these groups represent Iran’s hand in trying to foment an insurgency against the Al Khalifa family in Bahrain, a strategically important ally for the United States. While these groups have only conducted sporadic bombing campaigns, recent events, such as a well-coordinated jailbreak and more details on Iranian activity in the country, indicate that this threat could grow. Recent moves by the Bahraini government could also prove detrimental to the overall security of the country, as these moves could inflame wider tensions. At the same time, it is important to realize and acknowledge Iran’s role in fanning the flames in Bahrain. This fits with the wider trend of Iranian action in the Middle East, as it tries to exert its influence over the region. While Bahrain is definitely an overlooked area for Iranian activity, it must not be forgotten, as conflict could erupt in the island country. With the United State’s basing its highly important 5th naval fleet on the island, it is all the more important for increased chaos to not strike the Kingdom of Bahrain.